If you feel stuck with your OTIF improvement journey, and are feeling lost, this is for you! On Time Delivery is one of those hygiene factors you get with business life. Your customers expect your products to be shipped on time, just like you expect the quality to be right. When delivery performance is poor then a whole load of chaos can ensue, and this time depleting phenomenon can put your whole business on the ‘back foot’. 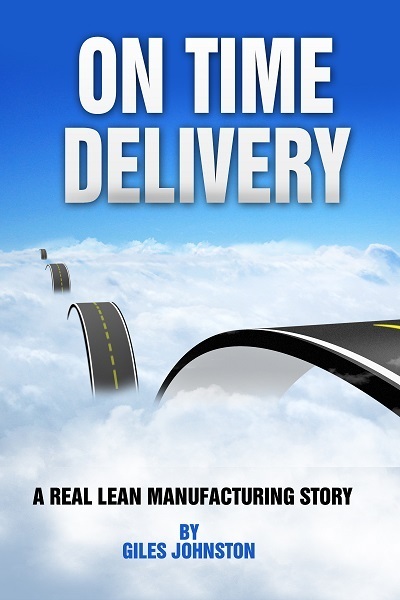 This book is a true account of transforming the on time delivery performance of a manufacturing business. The book was written from the perspective of the Production Manager, which Giles was in this story. It would have been easy to write it from the consultant’s perspective, but recounting the struggles and victories gives a far better account of what it takes to shake up your business and achieve the on time delivery performance that everyone wants. This book will take you on a short journey in time, leading you through the confusion, vision, difficulties and successes of a real improvement project. If you are going through a Lean Manufacturing transformation currently and want to get some new ideas then ‘On Time Delivery’ can provide some new insights as well as letting you know that it is OK if things aren't working out exactly the way that you planned. They will in the end. Highlights in the book include the ‘Big Brain’ award for the Team Leader who truly made ‘continuous improvement’ mean continuous improvement and the moment of epiphany when Giles realised what he could change in the business himself. Learning points for each major section of the book are included, so that the ideas that you can apply to your own business can be identified and reviewed easily. Buy ‘On Time Delivery’ today and start making some real changes in your own business.